That was a whole lot of answers, right? On Awkward Season 5 Episode 14 we got some much needed insight into the changes we witnessed on Awkward Season 5 Episode 13, but it just doesn't get away from the fact that the show just isn't all that intriguing anymore. When your core couple goes through every break up under the sun before coming together as endgame, they should stay that way. Not on Awkward. 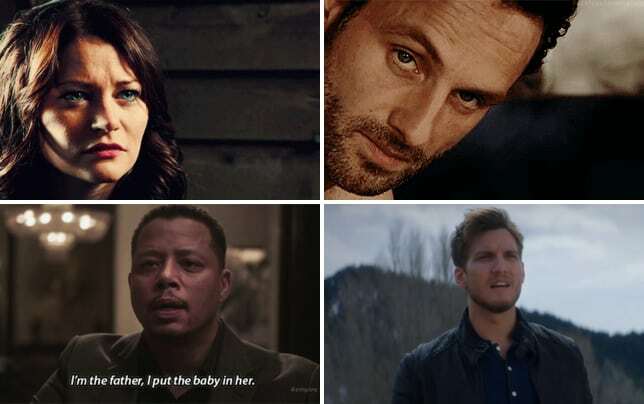 The writers ripped them apart to try and amp up the drama for this final half season. Let's be honest, Matty acted so out of character. To be fair, I think Beau Mirchoff was just dreading filming that break-up scene and it showed in his performance throughout. Matty was never a malicious character, but he was just that tonight. If he wants to act like that then maybe he did Jenna a favor and gave her a lucky escape. He was just plain rude to Brita (I think that's her name!). Jenna went to college to be person she knew she couldn't at Palos Hills High School. College is a great time for a young adult to reinvent and put the past behind them, and for the most part, Jenna was doing a stellar job at becoming a great young woman. She matured leaps and bounds. That could be down to the lack of Tamara in her life, but I'm sure Brita was filling that void. As things stand, I could care less about whether Jenna and Matty become a thing again. I'm so over the back and forth and it's time to move on. There was a time when this show was the finest comedy on TV, but now it's become a shell of its former self and it's quite sad. Elsewhere, we got to see first hand how Tamara and Sadie developed into great friends. Tamara was having a tough time of it in New York City, but not as tough as Sadie who had her tough exterior up as always. As much as I loathe this friendship because the nonsense of it all, it did pave the way for some of the funnier scenes of the night. Their meeting in the snobby New York Boutique was great. The cashier was so snarky about the items being organic. As if that would justify over $500. Sadie used money to buy herself a new friend and that just happened to be Tamara. I'm excited to see how this plays out, but I don't expect them to last very long. Tamara and Jenna are going to get close again and Sadie will find herself on the outside looking in. Other than that, the other main storyline was Lissa and Jake's reunion which was terrible. There's no denying the two characters are made for each other, but surely they could have came up with a better reunion storyline for them. I'd have preferred if the reunion stayed off screen rather than witness the drivel that was thrown our way. "WTF Happened Last Year" was a cut above the season premiere, but it was still a steaming pile of mediocrity. It's time to let this talented cast move on to other projects and let Awkward go out with the little dignity it has left. Remember, you can watch Awkward online right here to get up to date with the drama! What did you think of the episode? Are you over the back and forth for Jenna and Matty? Hit the comments below! Awkward Review: The Big Break-Up Revealed!